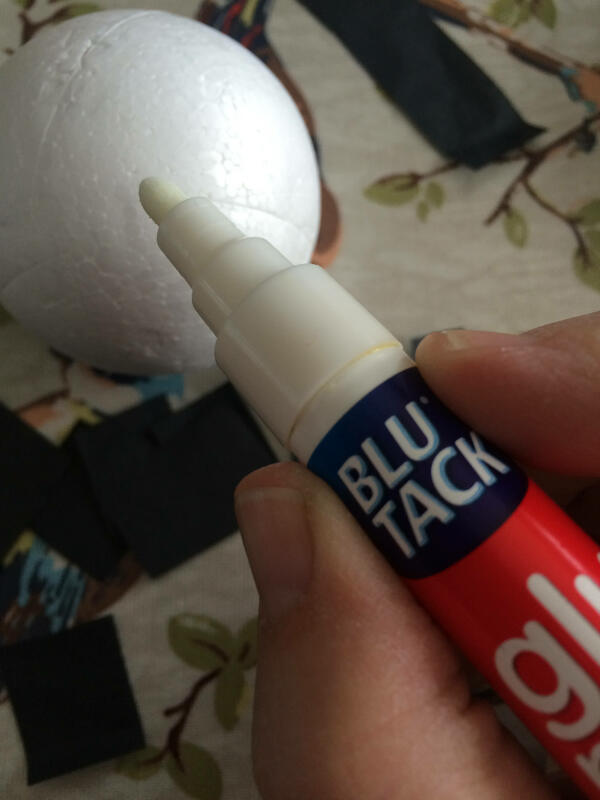 Every couple of weeks I receive a mystery parcel of craft supplies and the latest Bostik glue product. The idea is to make something fun with the children. Our latest box was full of amazing goodies in autumnal colours and we all enjoyed looking at the felt, wool, coloured paper and styrofoam balls and dreaming of what we could make. 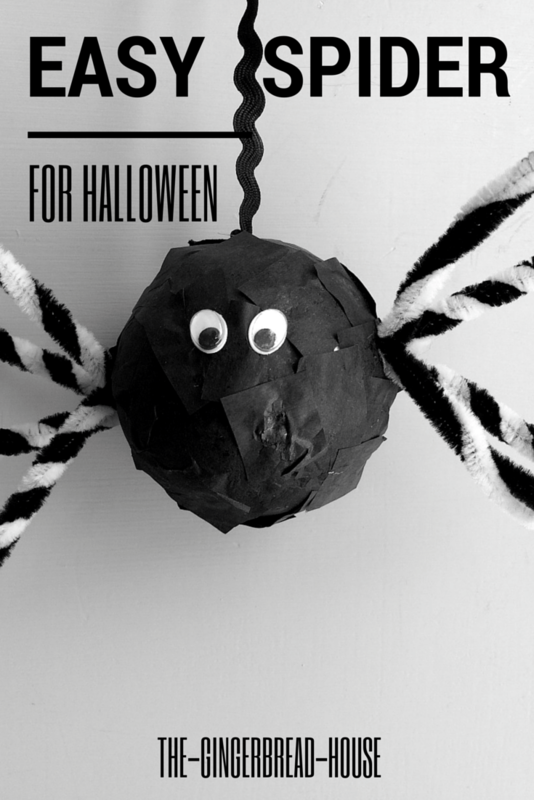 We thought we would make a styrofoam ball pet for Halloween and it was fun and easy to do. 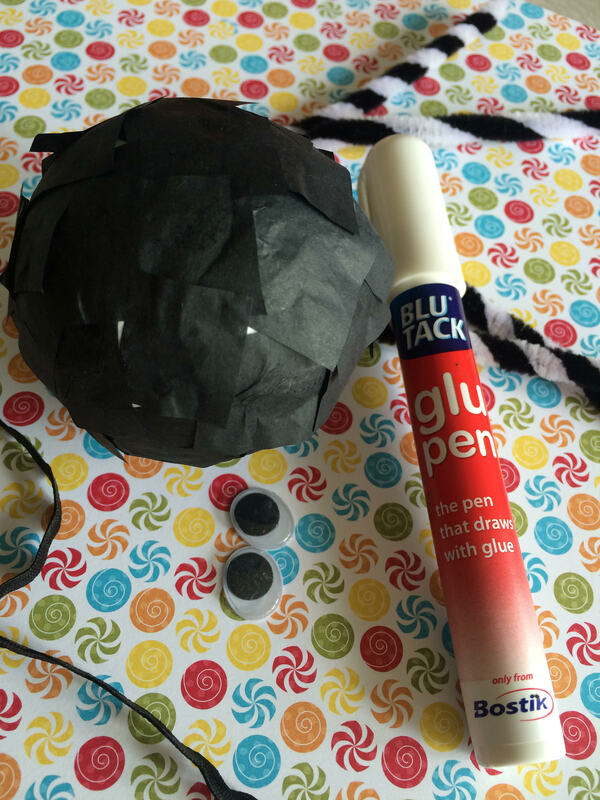 We cut the black tissue into small pieces and stuck it onto the styrofoam ball using a Bostik glue pen. When the whole ball was covered we set it aside to dry. We picked some stripy pipe cleaners which we cut into 8 pieces. when our spider had dried we pushed the pipe cleaners into the body of the spider, four on each side, to make his legs. We glued on two googly eyes using the glue pen and added a ric rac hanger so we could make our Incy Wincy Spider climb up and down. A fun project for little people. 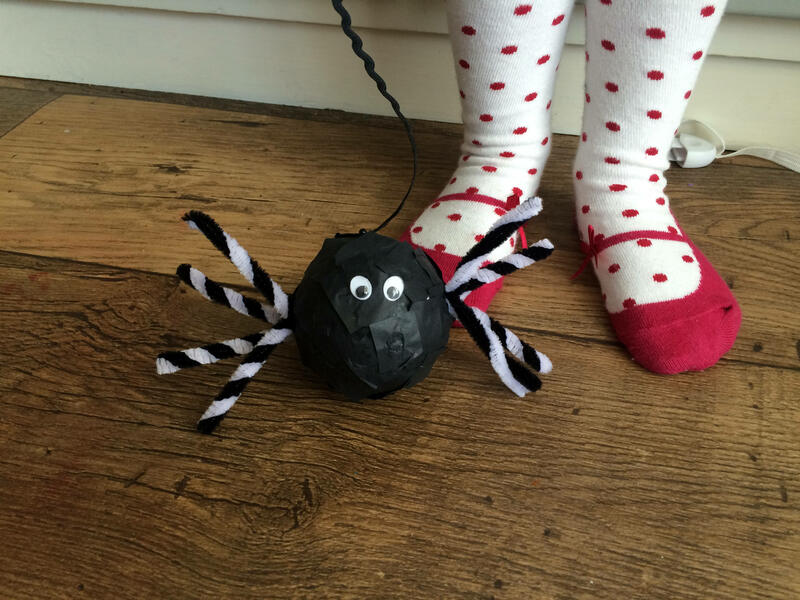 I bet my little man would be happy to make a spider toy for Halloween. Very cute! Cute craft! I just wanted to let you know that I have a kids activities submission site (Simply Creative Kids) and I am linking to this post if you don’t mind. You are welcome to submit any projects to my site if you’d like!